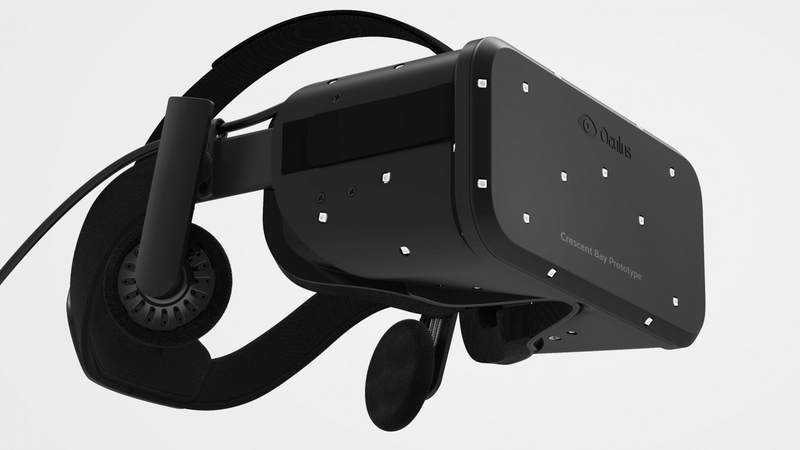 Virtual reality pioneer Oculus has unveiled the third iteration of its Rift headset. It's called Crescent Bay and no, it's still not available to the the public. Coming hot on the heels of the second development model, Crystal Cove, which the company is still fulfilling pre-orders for, Crescent Bay ups the ante with full 360-degree tracking and a much lighter construction. Announced at the Oculus Contact developer conference in Hollywood, the new model also boasts, for the first time, integrated headphones, which create a 3D audio experience. Having integrated surround sound should ensure the headset experience is even more scary and immersive, as well as being more comfortable to wear. Even though this is the third VR headset unleashed by Oculus, every model has been purely developmental and not destined for the average consumer. That hasn't stopped the original Kickstarter darling shipping more than 100,000 units to 130 countries since its initial launch in 2013, with VR-hungry gamers snapping up the development kit, which enables users to test the handful of early releases. This is the first update to the Rift since CES 2014 back in January, but Facebook-owned Oculus has been hard at work on its other venture – partnering with Samsung on the Gear VR, a mobile headset for the Korean company's latest phablet, the Galaxy Note 4. There's still no set release date for the Gear VR either, but we're hoping to have it in hand sometime before the year is out. Crescent Bay wasn't the only exciting Oculus announcement during the developer-focused event, as a partnership with game dev Unity was also revealed. Unity will support the Rift, making free and paid titles for the system much easier to create. Oculus still says the hardware is at a very early stage and will be much changed when it finally hits store shelves as a publicly available product. When will that be? We still don't know. Are we excited? You bet we are. In the meantime check out our round up of the best VR headsets and our collection of people freaking out over VR.